This review was originally published at A Prince of the West. I try to order new novels from my publisher whenever I can afford to, partly to encourage them to keep publishing fiction and partly out of solidarity with my fellow authors. Sadly, the results are sometimes mixed, but lately I managed to get two real winners which I deeply enjoyed. 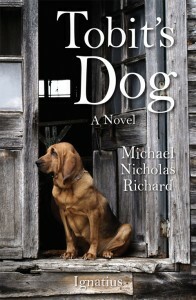 The first of these is Tobit’s Dog, by Michael Richard. This book had to have been an adventure to write. It is quite up-front about the fact that it is a “retelling” of the story of Tobit from the Bible (you’ll need a complete Bible to find it.) Though some might carp about “not being original” or some such post-Romantic nonsense, this didn’t put me off in the least. None of us really tells any truly original stories – everything is but a recasting and re-presenting of stories we’ve heard time and again. The only question I had was, how well did Mr. Richards retell the story of Tobit? The answer is, “dang well”. First and foremost, Tobit’s Dog is a rollicking good read. Siting the story in the American South just prior to the Second World War was genius. The story of Tobit itself, with those Bible-era people with the Bible-era names and circumstances, is hard for we moderns to appreciate. Portraying Tobit as a black man during the Jim Crow days subtly but powerfully brings home just what life must have been like for Jews during their exile in the greater Middle East. Richard skillfully translates thematic elements from the original story into the new setting, making them not just believable, but easy to relate to. The story is engaging and fast-moving, with personal drama, tension, a bit of mystery, tragedy, and redemption all flowing in a thoroughly enjoyable stream. But – believable? With an angel as a protagonist? Richards pulls it off, his Ace Redbone subtly played, with only hints and glimpses of the hidden reality. I was reminded of C.S. Lewis’ observation that everyone can recount some event in their life that they would call “rum” or “curious” – never fully comprehended, but part of their experience. We see the negative of that from time to time, even in this story which alludes to intergenerational abuse, official corruption, secret murder, and brutal suicide. Is it that hard to believe that there are also good forces slipping about in the shadows, nudging here and strengthening there? Indeed, Ace Redbone’s most prominent role is in support of the humans he encounters – to encourage the good, roadblock the evil, offer hope to those on the edge of despair (some take it, some don’t.) The interplay between this mysterious presence and the humans in the story is skillfully told – even to the point that at a critical juncture his power is subdued until the human releases it by an act of fierce courage. This is a hard tale to categorize. Human drama? Mystery? Supernatural thriller? Quirky Gothic? It defies pigeonholing. I recommend you get a copy and judge for yourself. I’ve heard it increasingly said of late that the problem with the modern world isn’t that it doesn’t have enough information, or even think clearly enough, but that it listens to the wrong stories. Before we are deceived by wrong facts or misled by poor logic, our imaginations are corrupted by false tales. We need to fill our hearts and imaginations with true stories. Tobit’s Dog is such a story (reasonably enough, given its original source). 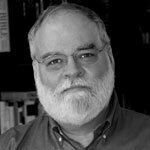 It includes evil – horrendous evil – but tells the triumph of the good in a believable way. Not without struggle and sorrow, but never without hope. That’s a story our world needs to hear more often.